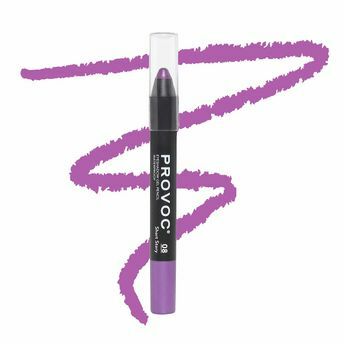 For a durable look, grab onto this multipurpose gel eye liner pencil by Provoc that can be used as an eye pencil or eyeshadow. It comes in gorgeous metallic shades with a soft texture that glides on smoothly for even application. This Gel Pencil is waterproof, and long lasting and just what you were looking for. Explore the entire range of Eye Shadow available on Nykaa. Shop more Provoc products here.You can browse through the complete world of Provoc Eye Shadow .Alternatively, you can also find many more products from the Provoc Eyeshadow Pencil range.